Toyota's mission in life isn't just making wildly popular sedans for the masses. Another division, Toyota Motorsports, exists to build fast cars. 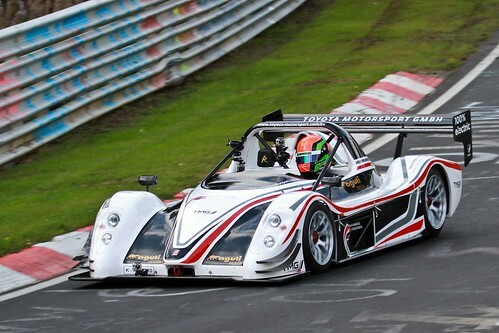 Toyota announced today they just set a record lap time on the Nürburgring Nordschleife for an electric vehicle. The Nürburgring (or Nürburg Ring) is a famous race track in Germany built around the village of Nürburg. 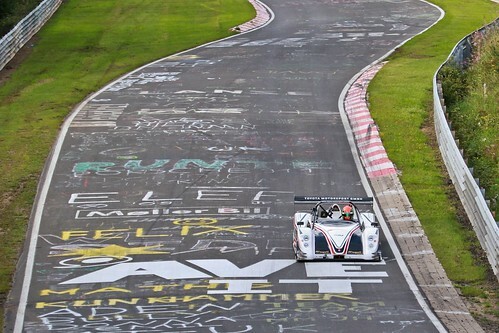 The Nordschleife ("Northern Loop") at the track is frequently used for testing, and that's what Toyota has done with their purpose-built electric race car. 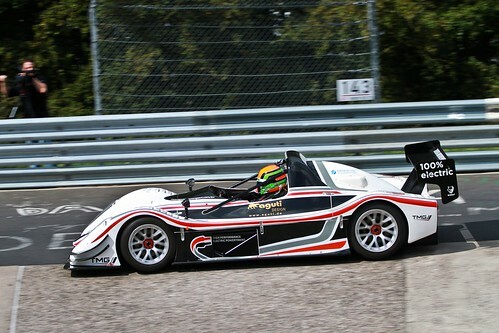 Their new electric car lap record of 7 mins 47.794 secs beat the previous record, 9 mins 1.338 secs, by a large margin. The track is 20.8 kilometers (12.92 miles), which makes the lap time roughly equate to 100 miles/hr averaged over the course. 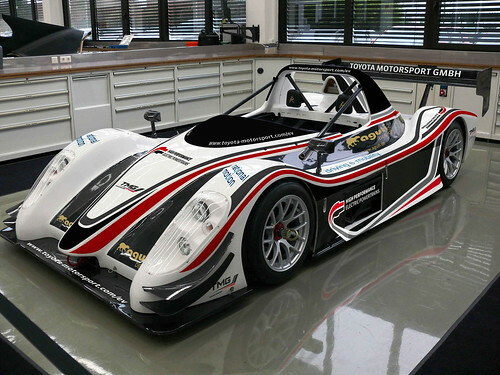 The car, the EV P001, is based on a chassis from Radical, a boutique sports-car chassis manufacturer in Britain. 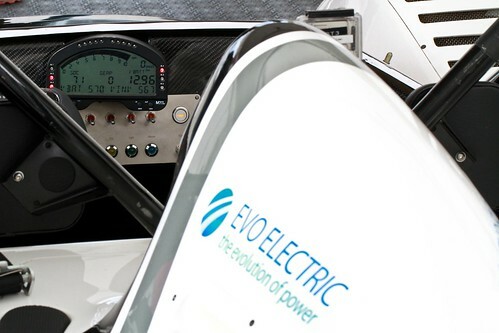 The drive train has two EVO Electric motors, and was integrated into a working vehicle by Rational Motion, a powertrain development consultancy. Toyota claims the car has a 160 miles/hr top speed and the two motors working together produce 800 Nm torque. Toyota had several goals in mind. One was to go faster than an 8 minute lap, thereby convincingly breaking the lap record. They also wanted to learn more about their powertrain, especially in extreme conditions. 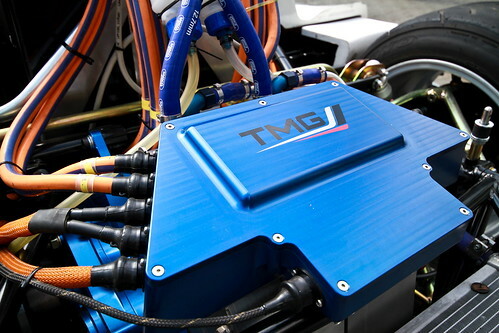 They see this as having demonstrated the TMG electric drive train as "ideal to power any future single-make electric motorsport series," and they intend to begin selling drive trains in 2012. 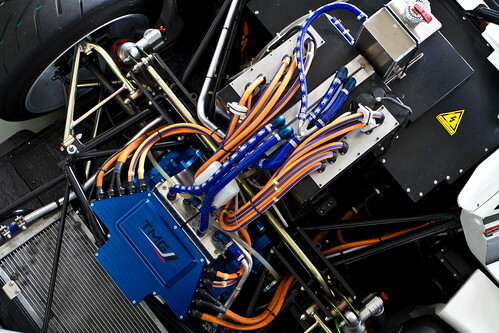 They are continuing to research and develop electric motorsport vehicle capacity, and are exploring alternative chassis. There are several ongoing efforts to develop electric car racing series in addition to the electric motorcycle racing going on inside the TTXGP and e-Power series. TMG would appear to have their eyes on participating in electric car racing. TMG has posted pictures of the EV P001 on their flikr account (see link below) and a video on youtube.